Now is a great time to start your lawn on a Carolina Vistas Lawn Care program! Summer is in full swing, but it’s never too late to help promote and improve the health and appearance of your lawn. Lawns in South Carolina’s Midlands benefit greatly from a good fertilization and weed control program. 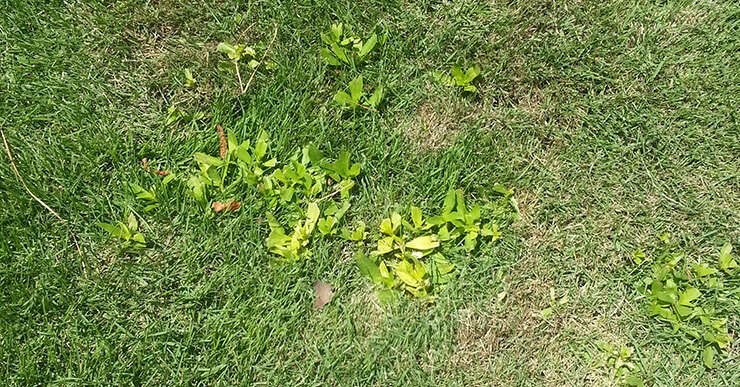 Summer weeds like crabgrass, nutsedge, lespedeza and spurge (among others) can become unsightly and even compete with your grass for nutrients, water and sunlight. This adds unnecessary stress to your lawn during the hot summer months, which can be stressful enough. Promoting good fertility and weed control this summer can improve and maintain a healthy and attractive lawn. AerationÂ is another beneficial summer lawn care service that Carolina Vistas can provide for your lawn. The best time to do this is from late spring throughÂ midÂ summer, so sign up now to help improve the soil and roots of your lawn. If you sign up for a Carolina Vistas Lawn Care program with aeration by the end of July, you can also receive a FREE Insect Control treatment! This complementary service will provide control of ants, including Red Imported Fire Ants, fleas and ticks, and other insects that can threaten your lawn, your family and your pets.